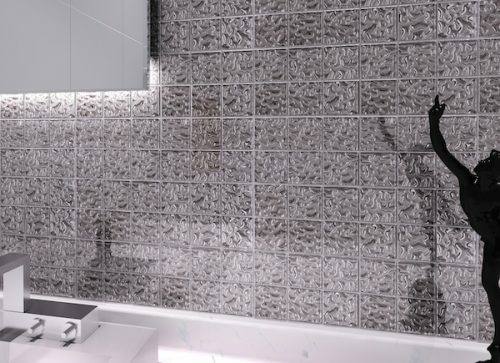 The ‘Magnetic’ Tile is a patterned indoor wall tile that will add unique style to bathroom walls. This gorgeous feature wall tile comes in an elegant metallic silver finish with irregular patterns, and it will completely transform any bathroom. A mosaic measures 48mm x 48mm x 8mm, a sheet measures 300x300mm in dimensions and there are 11 tiles per square meter. Add a luxe touch to your bathroom with this stunning feature wall tile. 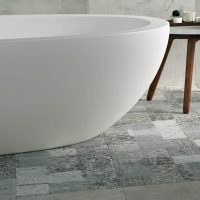 Create a modern and seamless appearance throughout your bathroom walls, including shower walls with this versatile tile. Its metallic silver finish will perfectly complement chrome, stainless steel and other modern bathroom fittings and accessories. Enjoy superior quality with the ‘Magnetic’ Tile. It displays the highest level of artistry and exhibits top-notch manufacturing. 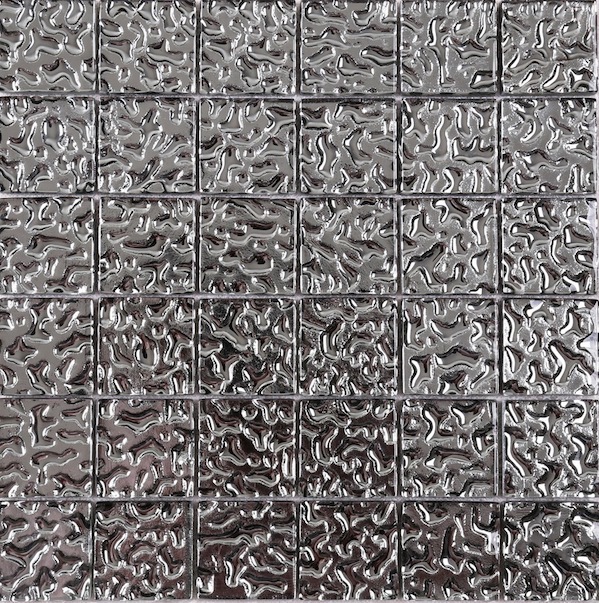 You cannot go wrong in choosing this elegant feature wall tile for your bathroom. For a gorgeous feature wall tile in Perth, choose the ‘Magnetic’ Tile from Ross’s Discount Home Centre. 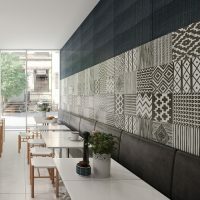 Buy this unique feature wall at the lowest price from our online store and take advantage of our free delivery across Perth Metro!